In this article Saving the Earth, One Straw At a Time by Ariel Kim, She talks about how plastic straws are making the same damage like plastic bags (which are banned). They are so small that sea creatures can choke on them and the coral reef will get clogged. They slowly but eventually disintegrate into tiny microbeads and enter the food chain through fish. 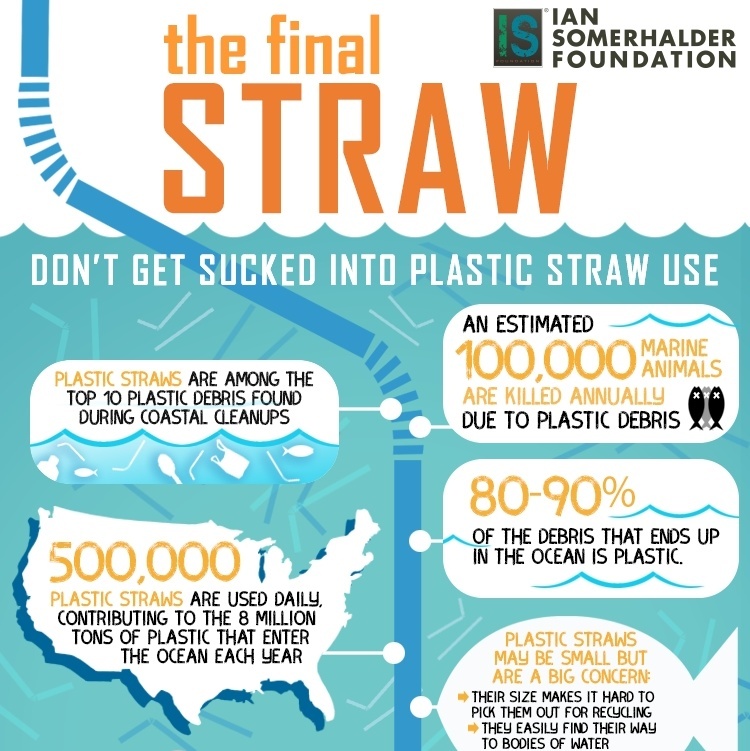 But thanks to social media campaigns such as #The Last Straw and #Final Straw banning plastic straws is finally gaining momentum. In February 2018 Queen Elizabeth has started to ban plastic straws from all royal estates including cafes and gift shops. Her royal decree also pledged to reduce the usage of single-use plastics such as cups, plates, and utensils at royal functions. Minister Theresa May also banned all single- use plastic. Theresa May also urged other Commonwealth countries to do the same. A five-year old girl named Ava wrote a letter to San Francisco based Pizza Express. Telling them that she always got a drink with a plastic straw. She wanted Pizza Express to stop using plastic straw because they hurt marine life. Pizza Express listened to her. The world’s largest hotel company, Marriott is banning more than just plastic straws. It replaced all of its single-used shampoos, conditioner and soap bottles with wall-mounted refillable dispenser from all its 60 British properties. The move will eliminate 10.4 plastic bottle/ 113,000 pounds of polymer waste. Personal Response: I choose this article because I like marine animals and I would not like them to get sick or killed from plastic stuff that we are using. I also think it is good that people are acting. I think we should try to help.